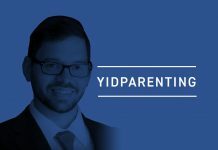 Home Judaism/Spirituality Hashkafa Who Is Entitled To Charity? Who Is Entitled To Charity? Towards Purim, the local charity committee had received many requests for assistance. Most requests looked genuine, each one a story in itself, while a few looked suspect. The committee members tried to make some order of the requests. “Who is entitled to receive charity?” they asked. “Let’s ask Rabbi Tzedek,” one of the committee members proposed. Rabbi Tzedek then explained: “The Torah awards a number of agricultural gifts to the poor as charity: leket, shik’chah, pe’ah, and ma’aser ani. The Mishnah (Pe’ah 8:8) teaches that whoever has 200 zuz (silver coins) is not entitled to collect these gifts. This sum of 200 zuz was the amount of money necessary then to sustain a person for a year. “Based on the Mishnah, contemporary authorities write that if a person does not have the means to sustain himself and his family for the coming year, he is entitled to receive charity, even if he is able to cover his immediate needs. However, if the person has a stable salary that suffices for his family or has sufficient savings to provide sustenance for the year, he is not entitled to receive charity. “People who are in financial need because of medical care or overburdening loans are also entitled to charity. However, people who plunged themselves into poverty through an extravagant lifestyle or risky investing should not take charity, unless they have no resort through loans or private gifts. Even so, they are of low priority (HaGaon Rav Y.S. Elyashiv, zt’l). “Furthermore, if the person will have exceptional expenditures that year, such as for marrying off children, he is entitled to receive charity even if his salary suffices for daily living” (Igros Moshe, Y.D. 1:148). “What about a person who owns a house or a car that he could sell?” asked the gabbai. “A person is not required to sell his house, even if he could buy a smaller house or live in a cheaper neighborhood,” answered Rabbi Tzedek. “However, if he has other spare or luxury items that he could sell at fair value, which would provide enough money to sustain the family for the year, he should sell them before taking from a communal charity fund” (Y.D. 253:1; Shevet HaLevi 2:125). “Is there any difference between regular charity and matanos la’evyonim on Purim?” asked the gabbai.